What’s the iPad for BPM? The question has collected a lot of attention, especially after it has been selected as daily question in the BPM ebizQ forum. That’s because BPM is evidently not dead now (and will still be alive until no vendor and consultant can make any money out of it, which will probably never happen). It’s on the community to decide responsibly what’s the best for BPM, either to kill or save it. In the links above you can find a lot of people voting for either party (and I add the notable post by Keith Swenson here). As for myself, I’m keen to vote for killing, in this sense: I think that a field that is not able to renew itself and not able to cope with the evident dissatisfaction, skeptical positions or concerns of its users is in a way or the other doomed to fail. And sometimes I have the perception that BPM is not far from that (as well as other related fields, such as model-driven engineering (MDE) for that matter). Now the question to be asked first is actually the following: why are users skeptical and who should be blamed for it? I think the response is straightforward: users are skeptical because nobody tells them not to be. In other words, we are selling BPM only to customers that are already buying it (I’m not talking about specific product, customers can decide to move from one to the other, but about the approach by itself). We seldom manage to get customers intrigued and involved, we continuously try to sell BPM as a geeky way for making business or as a business way for making software. And the needs (and will) of the users are the most neglected part. Just think about other fields: computer manufacturing has tried for years to change the way of using laptops. Then, suddenly (well, more or less.. it got a lot of steps before that paved its way) the iPad came in and it became a social phenomenon. Why? Well, I bet that the overall image made its part, together with the coverage of new use cases that addressed different user needs, and a perfect marketing and communication strategy. 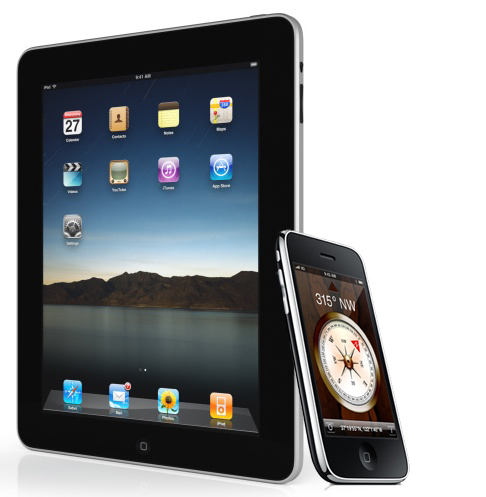 iPad (and iPhone, and then Android..) became the icon of computer consumerization. The question I ask now is the following. What should we do for making of BPM the next phenomenon? Or, if you want, what will be the iPad for BPM? Personally, I think we need to consider the trends we are witnessing in general in computer science adoption. We should not forget that even the most enterprise-oriented solutions will be purchased now and in the near future by people that are well inside the consumerization of IT and will expect also BPM to go that way somehow. Some organizations achieved a particular “comfort” maturity stage and are not thinking “out of the box”, meaning, we mapped 500 business processes and think that there is nothing more deeper than that. We don't need to do nothing. We just need to keep BPM evolving.